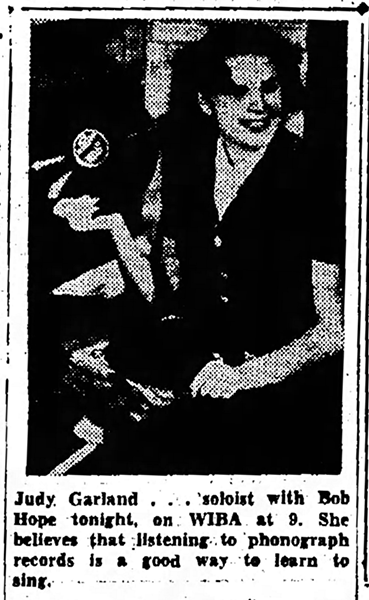 January 23, 1932 (possibly January 25): Frances (Judy) appeared at the Coconut Grove at the Ambassador Hotel in Los Angeles, California. The appearance was an impromptu “Tea Dance” with Himmie Grier and his Orchestra. 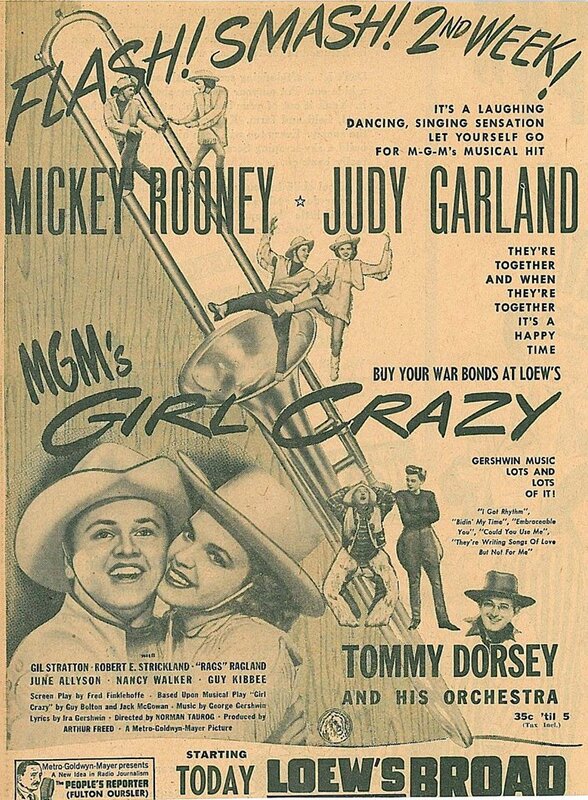 This was Judy’s first time performing at The Grove, a venue she returned to in later years with great success, most notably her 1958 appearance which resulted in the first “Judy Garland In Concert” record album, “Garland At The Grove.” The image above is the marquee from that engagement. 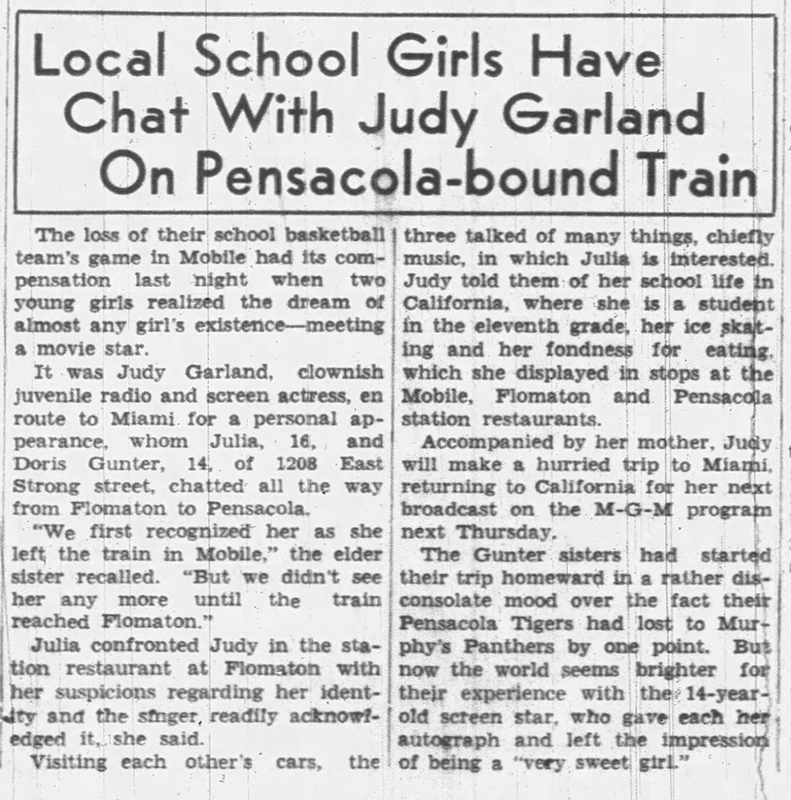 Immediately upon arrival in Miami, Judy was interviewed for WIOD Radio which was broadcast live from the station at 4:45 p.m.
January 23, 1940: Judy made her regular appearance on “The Pepsodent Show Starring Bob Hope” on NBC Radio. 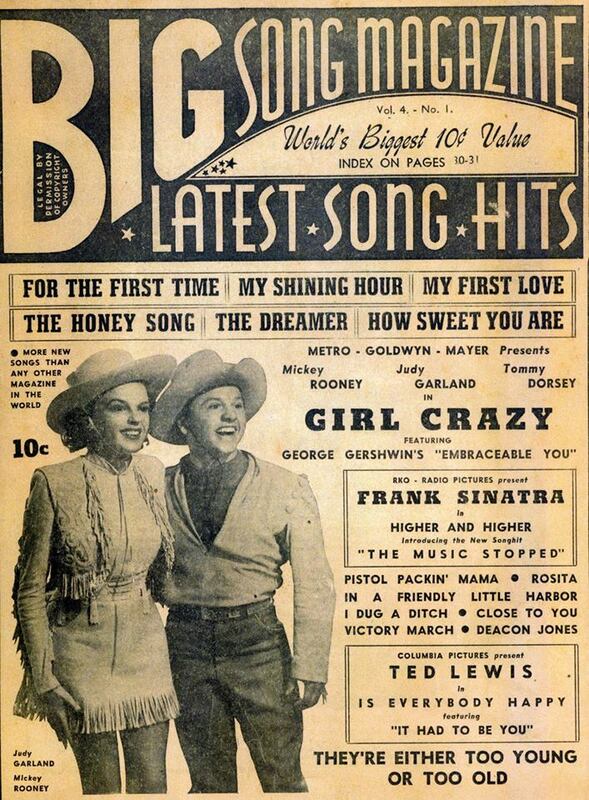 The show is not known to exist and it’s unknown what song(s) Judy sang. 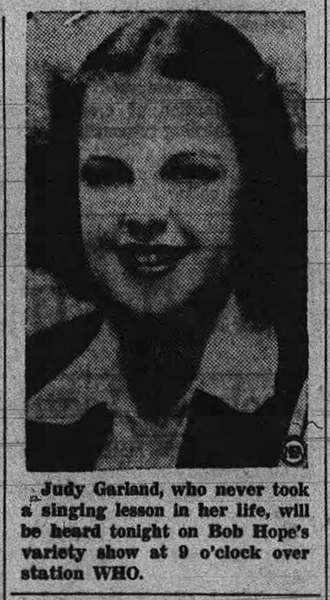 January 23, 1942: Do you want to look like Judy with clear skin and no blackheads? Well, used the cream described in this article. 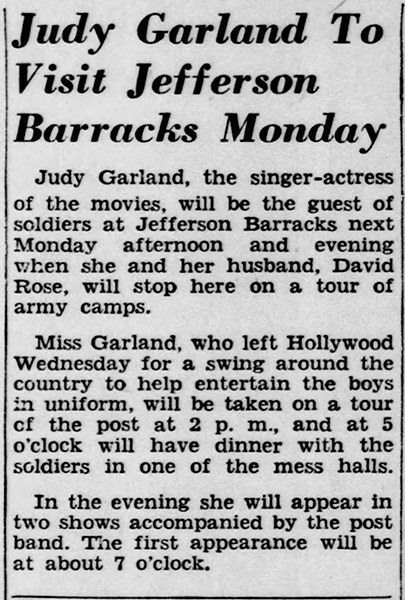 January 23, 1942: Judy’s USO tour took her to Fort Knox in Louisville, Kentucky. 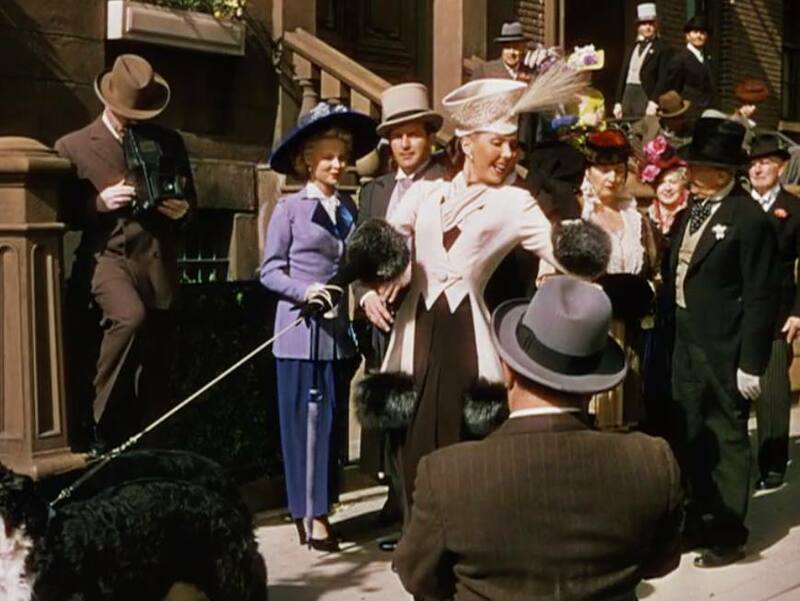 It was the first of a two-day visit during which she performed two shows a night. After this engagement, Judy and husband David Rose then went to the Jefferson Barracks Army post, outside of St. Louis, Missouri. 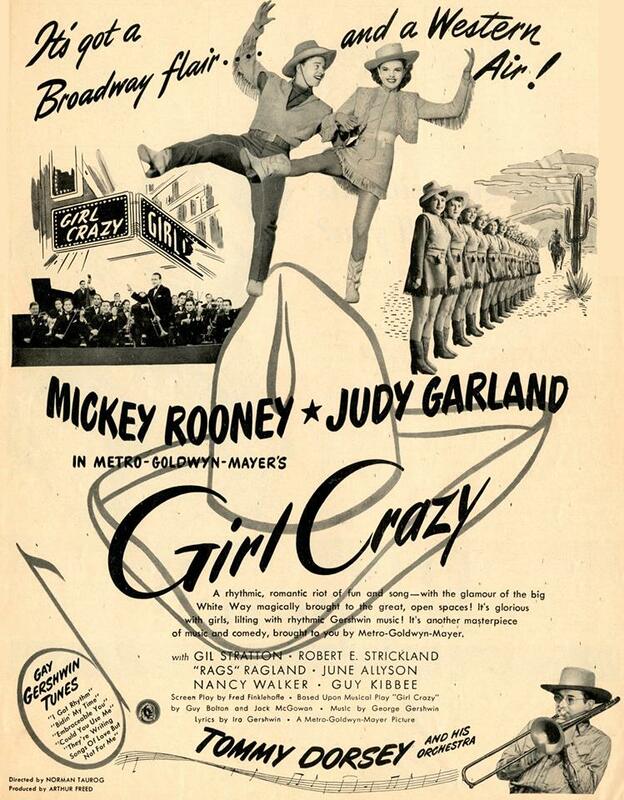 January 23, 1943: Girl Crazy filming continued. 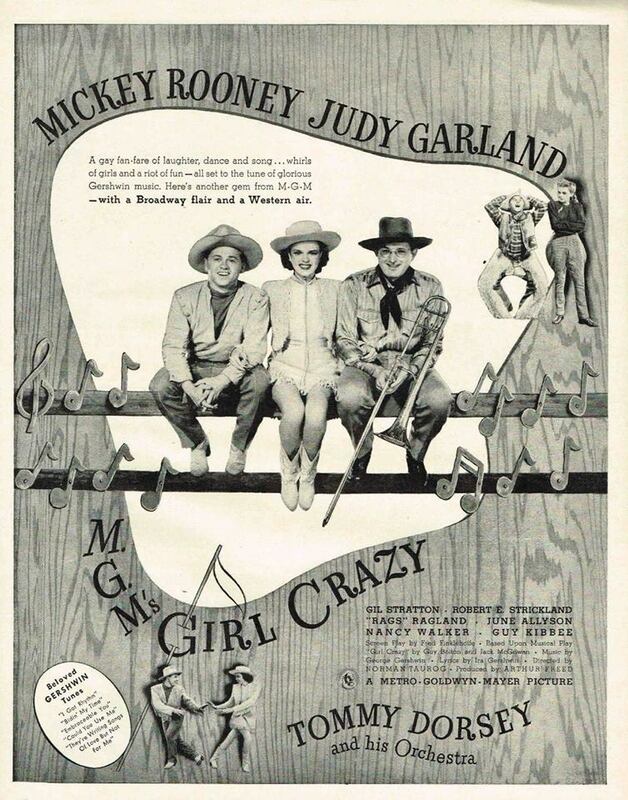 It was noted that Judy was working “with Ballbusch Unit – Shot Rodeo Montage.” There is no “Rodeo Montage” in the final film aside from the dance break in the “I Got Rhythm” number, which had already completed filming on January 14th. This could have been part of the ultimately deleted “Bronco Busters” number of which no footage remains, only the pre-recording. 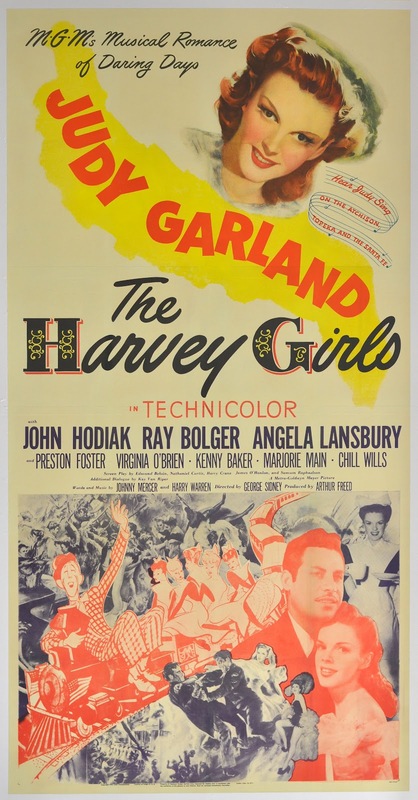 Time called: 3 p.m.; dismissed: 4:20 p.m.
January 23, 1945: Judy had wardrobe fittings and was on standby for The Harvey Girls. 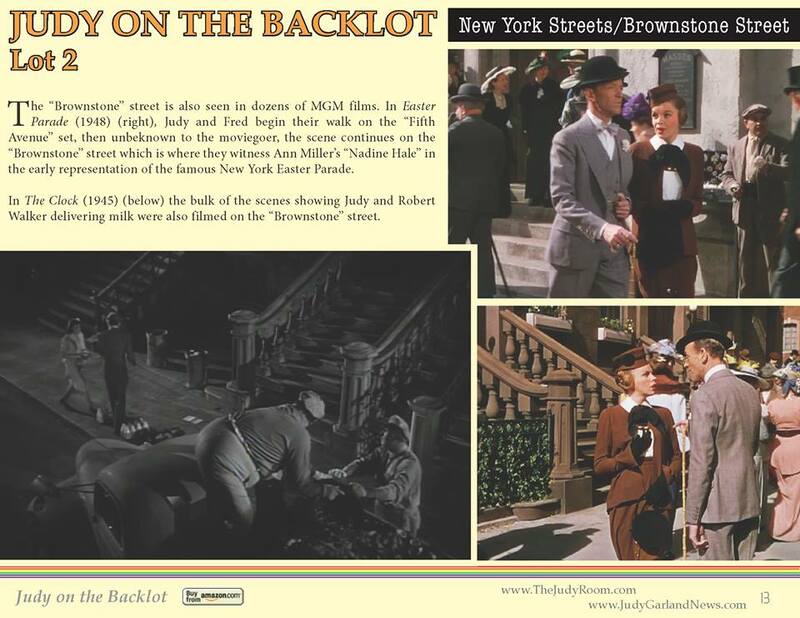 Time called: 1:30 p.m.; dismissed: 2:30 p.m.
January 23, 1948: Filming on Easter Parade continued on MGM’s Backlot #2, the “New York Streets” section, specifically the “Brownstone Street.” This was the first “Easter Parade” scene in the film, where Judy and Fred Astaire see Ann Miller and Judy makes a sarcastic remark about Ann’s silly hat. Time called: 7 a.m.; Judy arrived on set at 9 a.m.; dismissed: 3 p.m.
January 23, 1951: This photo of Judy and fellow MGM star Gloria DeHaven, was sent out to publications by the Kings Features Syndicate for the “week ending January 26, 1951). 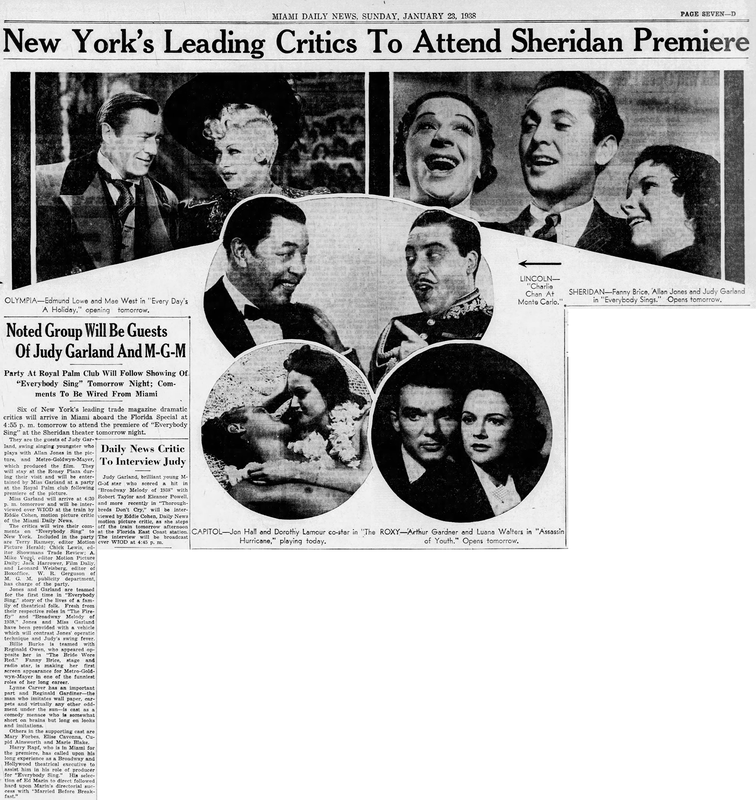 It’s date stamped January 23, 1951, meaning that the write-up and the photo were written and taken on this same date at Hollywood’s Club Mocambo. 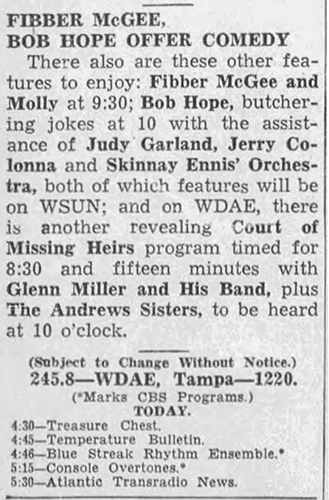 Earlier in the day, Judy and Bing Crosby recorded her appearance on “The Bing Crosby Show” for CBS Radio. Crosby recorded all of his shows in advance and this was no different. It was broadcast on February 7. The recording survives and has been released on various LPs and CDs. 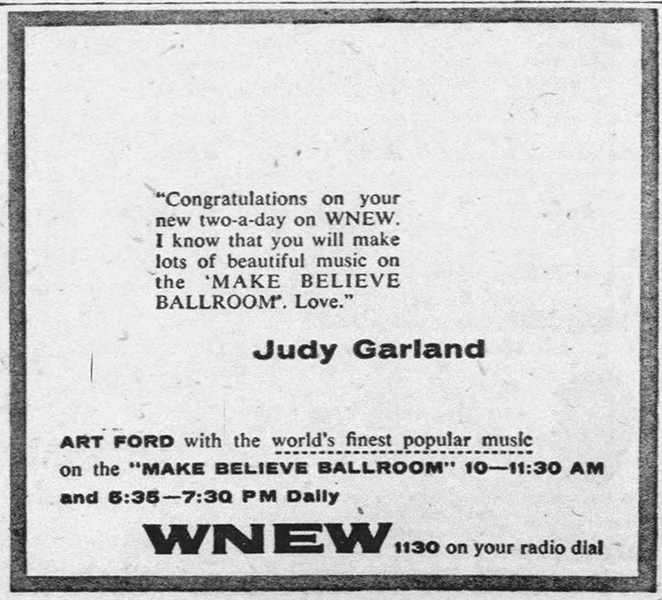 January 23, 1957: Here’s an endorsement of WNEW and their “Make Believe Ballroom” show, which Judy was a guest on in 1951 and on the one-year anniversary of her Carnegie Hall concert on April 23, 1962. 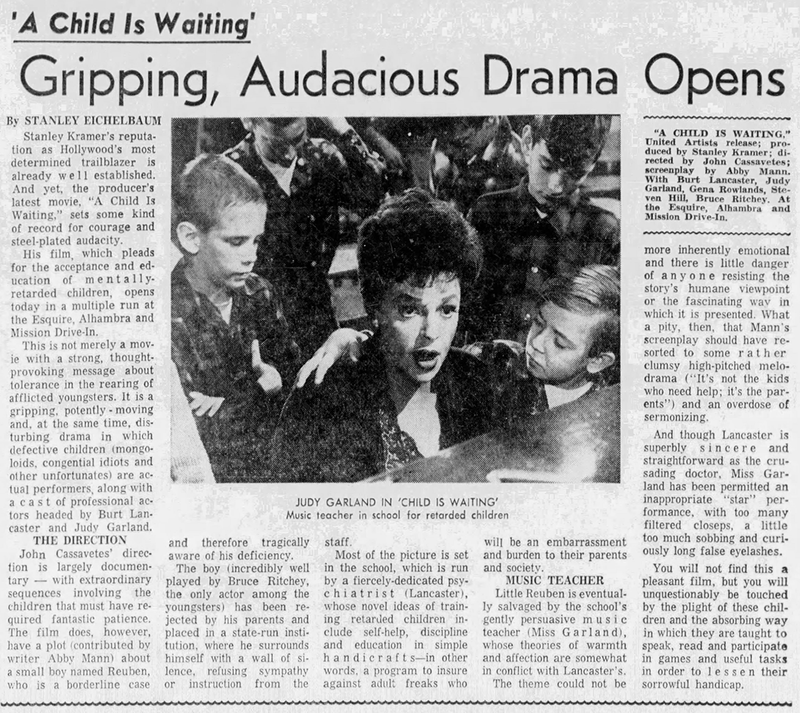 January 23, 1960: Here’s a blurb about the Garland autobiography project. 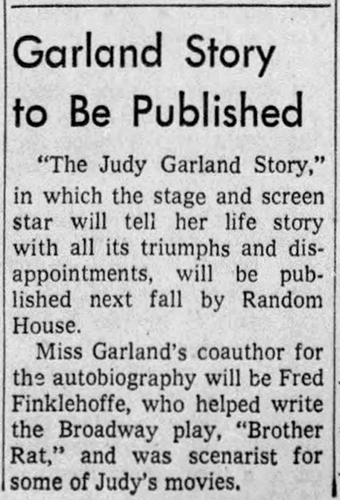 On January 2, 1960, Judy signed a contract with Random House, to write her autobiography. 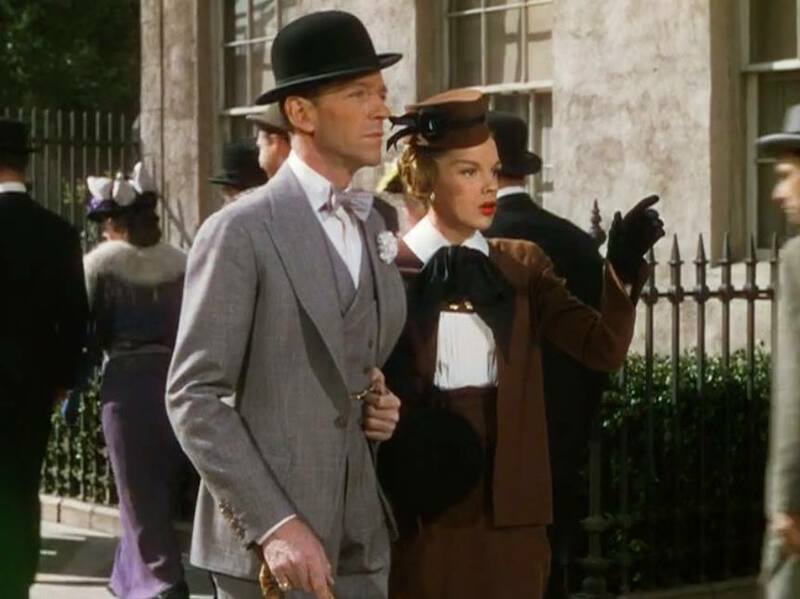 To be called “The Judy Garland Story,” the book was to be a collaboration with Fred Finklehoffe. 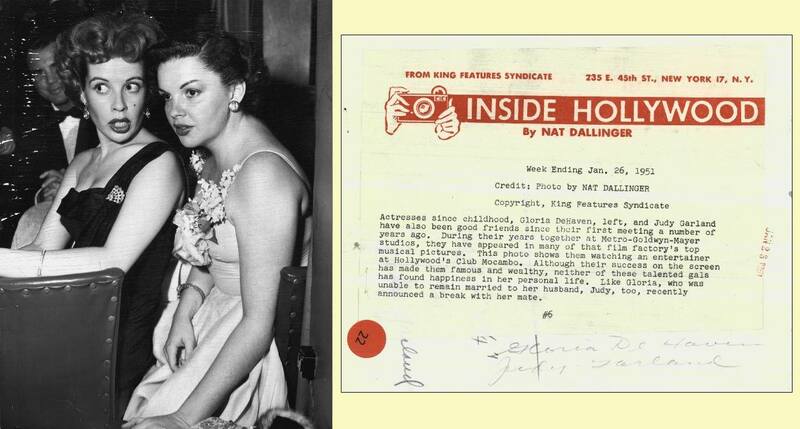 Finklehoffe had written the screenplays for some of Judy’s greatest films including Strike Up The Band, Babes on Broadway, For Me And My Gal, Girl Crazy, Meet Me In St. Louis, and Words and Music. Judy was paid an advance of $35,000, and she and Finklehoffe recorded their sessions on audiotape some of which have survived – see above. A partial manuscript was eventually produced, totaling 65 pages, and it contains frank observations and startling revelations, including: Judy knew she was an “unwanted” (unplanned) baby, and she received a great amount of psychological abuse from her mother and the man who became her stepfather who had taunted and laughed at Judy together, with Ethel (Judy’s mom) at one point telling Judy that she had been born with a defective brain. Although Judy admitted that she loved Ethel and that “she was always doing things . . . which made me love her so much, but at the same time I was afraid of her. At any time, in the middle of a great kindness or loud laughter, she was capable of saying something or doing something that would scare me to death.” Judy also talked candidly about her attempts to rid herself of the medications she was on; the men at the studio who made advances on her; and most astonishingly, about the abortion she had when she was twenty. However, the book would not continue after a certain stage, as Judy felt too good and happy to look back. 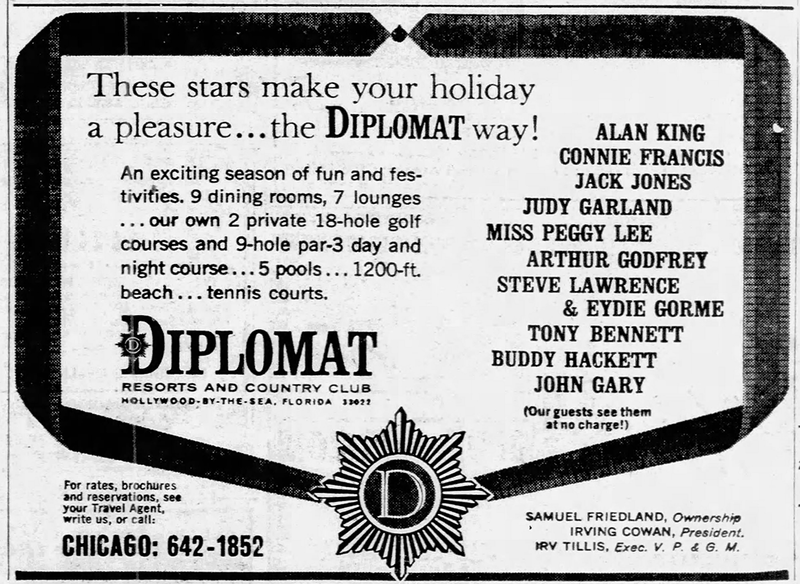 January 23, 1966: An ad for the Diplomat Hotel in Hollywood, Florida. 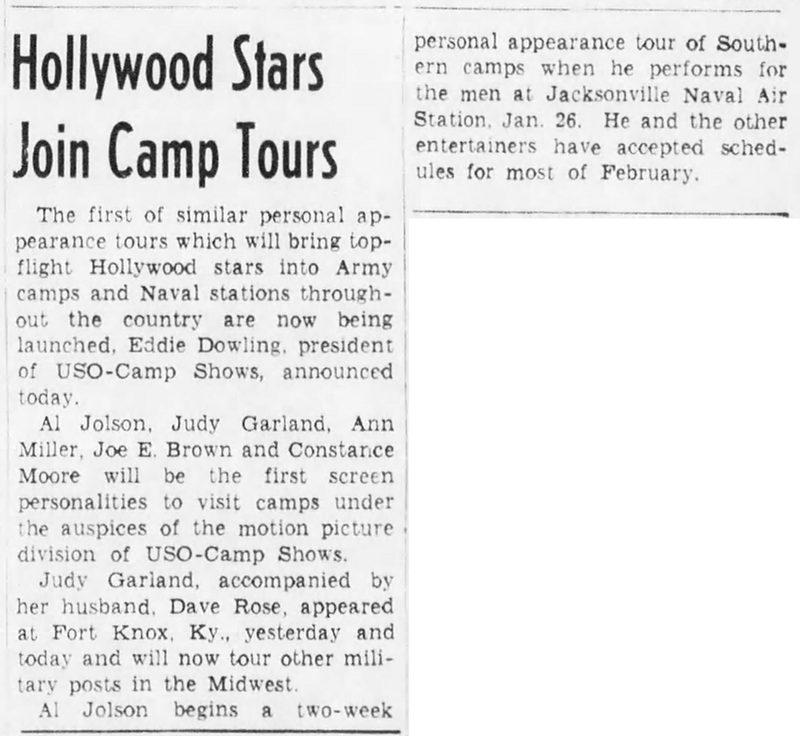 Judy was in concert at the venue February 2 -10, 1966. January 23, 1969: Judy was late to her scheduled appearance at the Talk of the Town nightclub in London. She had been performing semi-regularly at the club since the end of December 1968. “You Made Me Love You.” Wow! And pow!! Thanks – haven’t heard that version in many years! Isn’t that great? It’s one of my favorite performances of hers. 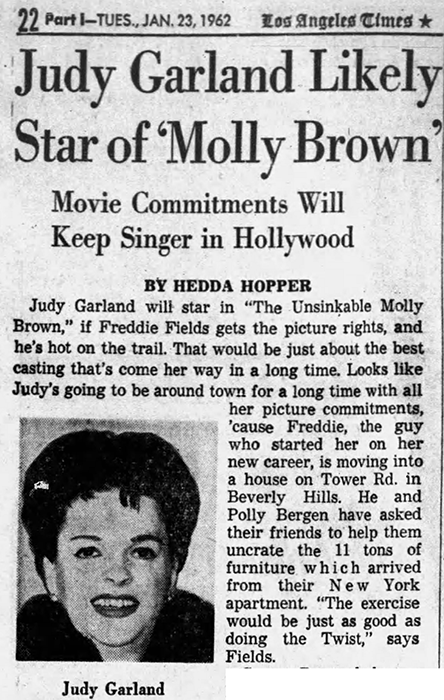 It’s interesting to read the various reviews and articles about Judy over the years. Some of the writers could be quite cruel, especially when talking about her weight! 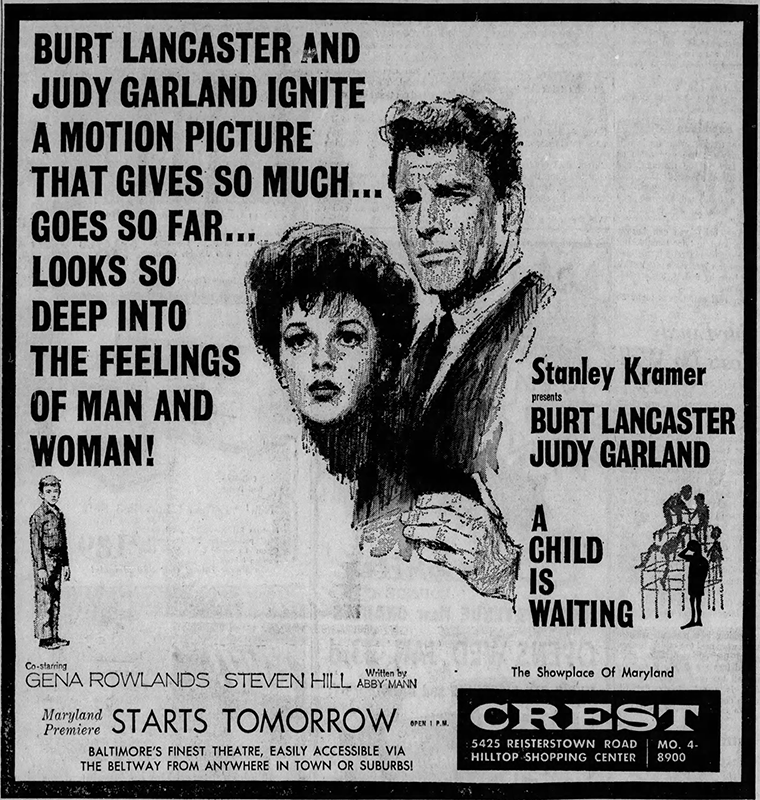 Even when critics gave her positive reviews (during the MGM years) they could be quite reserved. 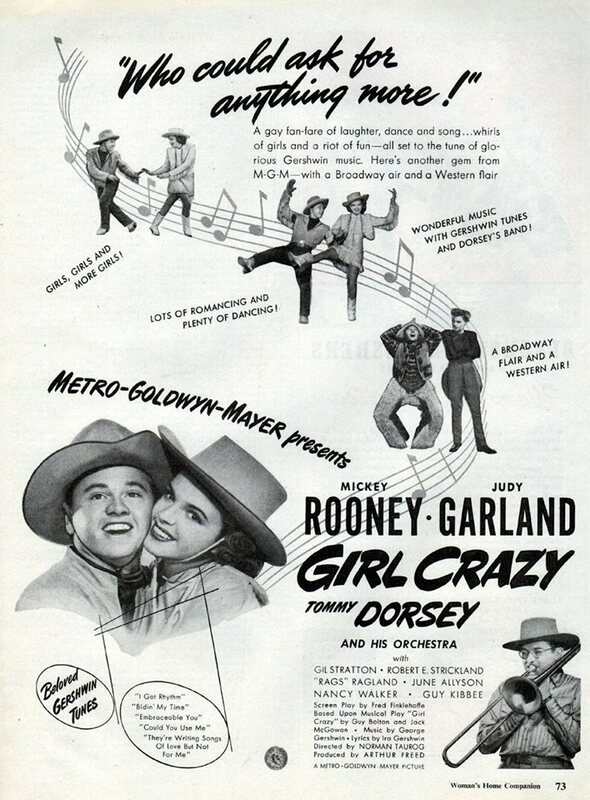 For instance, I believe it’s Bosley Crother who wrote of her performance in “The Harvey Girls”, “Miss Garland sings her songs pleasantly.” PLEASANTLY? 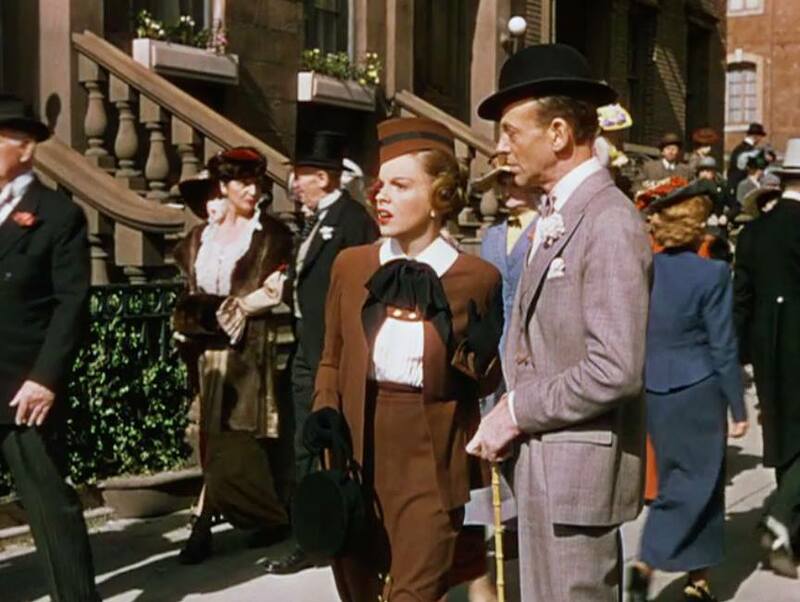 Uh, June Allyson sang pleasantly. Good grief.